Astronomer Terry Mann will be at the Garber Nature Center, located at 9691 Ohio 503 North near Lewisburg, on Saturday, March 3, from 6:30-8:30 p.m.
LEWISBURG — Saturday, March 3, from 6:30-8:30 p.m., astronomer Terry Mann will be at the Garber Nature Center, located at 9691 Ohio 503 North in Lewisburg. She will bring her telescope which will allow everyone to view the nighttime sky. Mann’s images have been seen in magazines such as, Astronomy magazine, Sky and Telescope magazine, the Reflector magazine, and websites including Spaceweather.com, and Space.com, as well as local newspapers and television. She has exhibited in art galleries and museums. She was selected as a First Light Observer at the Smithsonian Air and Space Museum and had three of her images placed in the Explore the Universe gallery. Mann has spoken at various star parties, organizations and events. She has held workshops at Sally Ride Science Festivals at the University of Michigan. 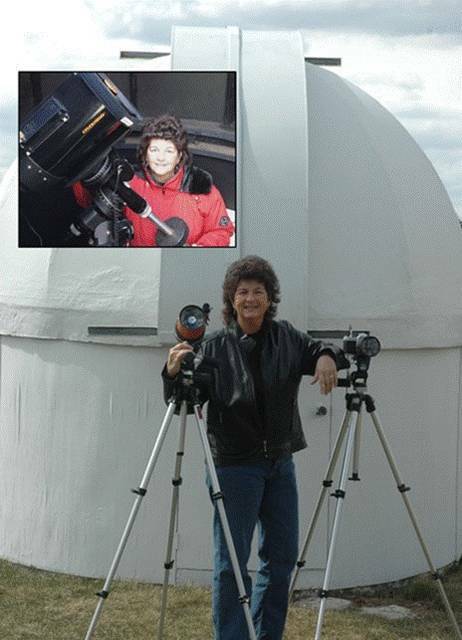 Her articles have been published in Astronomy magazine, “How Terry Mann Images Earth and Sky”; Explore Scientific magazine, “Chasing the Aurora”, and various articles in Reflector magazine published by the Astronomical League. Don’t miss this exciting event for all ages at the Garber Nature Center. Those attending will meet in the Mary Hayes outdoor pavilion. Bring a lawn chair or sit at the picnic tables and benches. Dress for the weather. https://www.registerherald.com/wp-content/uploads/sites/41/2018/02/web1_Terry-Mann2018225195749807.jpgAstronomer Terry Mann will be at the Garber Nature Center, located at 9691 Ohio 503 North near Lewisburg, on Saturday, March 3, from 6:30-8:30 p.m.